THE MOTHER of all Jewish Mother movies, in Yiddish yet! ABDM is one of the great classics of the pre-war Yiddish cinema and one of the great all time films on the subject of immigration to America. It was the culmination of Joseph Green's amazing four film cycle of Yiddish films made between 1937 and 1939, on the brink of WW II. The saga of a Jewish family opens in 1912 in Lubin, a small shtetl in the Ukraine and terminates in New York in the twenties after the war, where Mama ("Dobrish" Berditchever) finally tracks down her long lost son (the excellent tenor, Edmund Zayenda), the entire family's having been dispersed by the war. I All actors were top stars and character actors of both the Warsaw and New York Yiddish stage, and turn in uniformly superb performances. The end of the war in 1918 brings the tragic news that Dobrish's eldest son was killed at the front. With her older son dead, her married daughter having run off to live in Odessa, her husband an unsuccessful runaway to America peddling on the streets and, worst of all, her little son "Arele" who had such a nice voice as a boy, also having disappeared without a trace — Dobrish is now a still proud but pathetic figure left behind without a ticket abandoned in Warsaw, and the promised letter from young son Arele has never come. Enter Mr. Shein, the savior from America. This aristocratic figure of a man is the representative of HIAS (the Jewish Aid to Refugees organization) sent to Poland to assist in getting people out and over to America.. The minute he spots Dobrish milling around in a large hall with other prospective refugees he asks a colleague, — Who is that woman? — clearly, this is the 'coup-de-foudre' — love at first sight. He secures her passage on the boat to America as his personal protégée. In New York the search commences in the immigrant community. Dobrish learns that her feckless husband, Dovid has passed away — but, what about her long lost little son, Ariel, who must now be a grown up man? Of Arele Berditchever no trace. "But we'll find him", Shein assures her. Now the climax. At a benefit concert featuring star tenor "Irving Bird" (Could this "Bird" be a shortened version of an original name "Berd-itchever? — Youbetcha!) Even the most undiscerning viewer would not fail to realize that this handsome, young man is the long- lost Arele. However, when he takes the stage and brushes past Dobrish in the waiting room, she doesn't recognize him, nor does he even notice her! This synopsis of the film may sound a bit like a shmaltzy melodrama but this picture is far more than the sum of its parts, This is in, every way, a polished work up to the best standards of late thirties international filmmaking. The editing is perfect, the camera-work, the incidental music, the performances — everything is first rate. But, above all this is a film about the processes and psychology of immigration — not just Jewish immigration — one which would have much to say to any other immigrant group regardless of ethnicity. Max Bozyk is an entity unto himself, as Shimen the tailor — a star character actor if ever there was one. Tenor Edmund Zayenda, on a sheerly musical basis, was a quality singer as good or better than any of the crooners who populated Hollywood films of the late thirties — and a very handsome presence as well. Finally, not enough can be said of Lucy Gherman's towering portrayal of "Dobrish", the heroine of the piece who, with incredible dignity in the face of every kind of adversity and tragedy, toughs it out and shows exactly what it means to be a "survivor" and a compassionate mother as well. 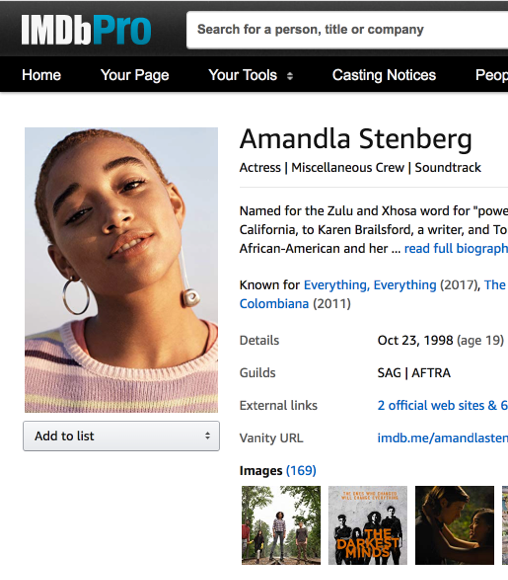 Comparisons may be odious, but I would rate her Dobrish right up there with Helen Mirren's recent Queen Elizabeth II, and I don't think i'm is going too far out on a limb by saying that. 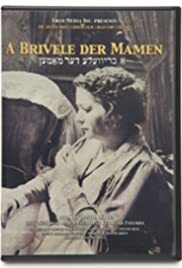 "A Brivele der Mamen" (A little letter to Mama ) is one of the two or three outstanding works of the Yiddish cinema and a timeless classic in its own right, regardless of language.